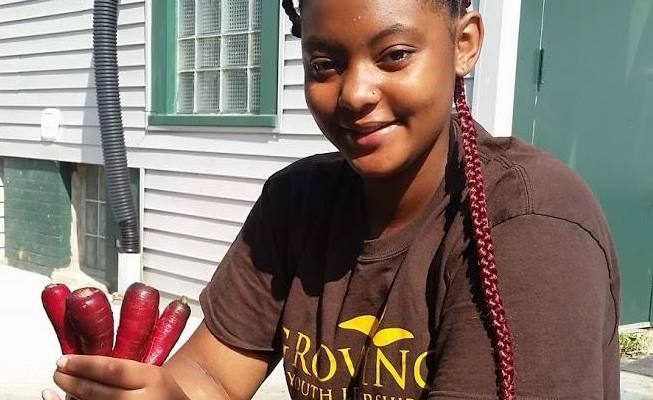 Growing Youth Leadership is Walnut Way’s signature summer teen internship program that engages Lindsay Heights teens in intensive urban agriculture education, leadership development, and job training. Teens grow a wide range of chemical-free vegetables and fruits in production gardens on Walnut Way’s environmental campus and at Alice’s Community Garden and sell their harvest at local farmer’s markets and participating in weekly learning labs and community service projects. Applications for the 2019 growing season will be accepted in Spring 2019. Complete application process and requirements will be posted here. Please check back. Contact Danielle Brower, at danielle@walnutway.org for information.